Today is National Martini Day (and #MartiniMonday) and to celebrate Carnival Cruise Line has created a special limited edition cocktail called the Mermaid Martini. The vibrant multicolored libation was created by Carnival’s award-winning mixologist Miroslav Kljajic, the winner of the 2016 Bacardí Legacy Cruise Bartender of the Year competition. 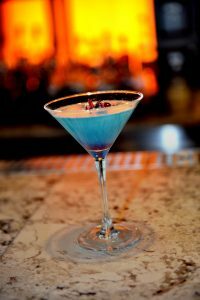 The Mermaid Martini is just one of several varieties of hand-crafted martinis available across the fleet which include such favorites as the Revved Up Mojito Martini and Spicy Chipotle Pineapple Martini served at all Alchemy Bars.